He was born in Philadelphia, PA, and when he turned 16 he joined the U.S. Navy as a midshipman. After many years at sea he was assigned to the navy's ordnance bureau at Washington, D.C. in 1847. When the Civil War broke out in 1861, he became the head of the Washington Navy Yard after Captain Franklin Buchanan resigned that post to enlist in the Confederate cause. 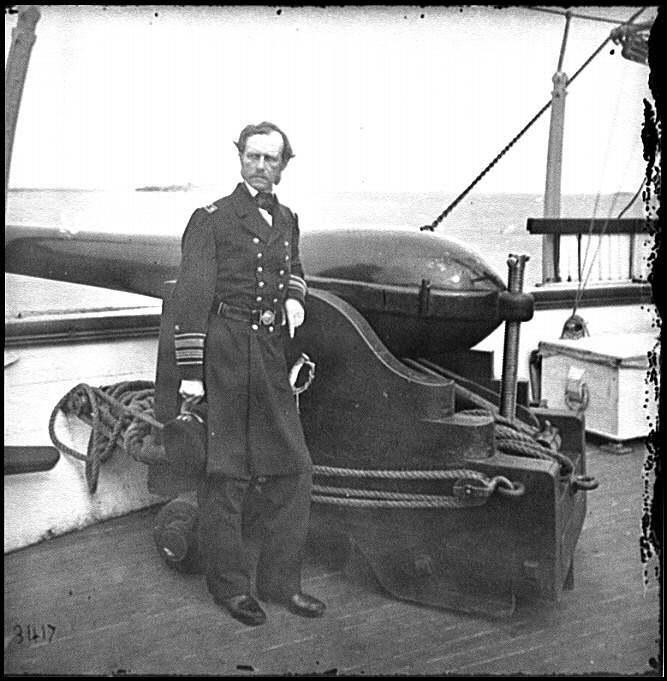 In 1862 Dahlgren was promoted to captain and named head of the navy's Ordnance Bureau. In July of 1863 Dahlgren was promoted to rear admiral and assigned command of the South Atlantic Blockading Squadron. Dahlgren weapons are usually divided into three groups - bronze boat howitzers and rifles, iron smoothbores, and iron rifles. The designer, John A.B. Dahlgren of the U.S. Navy, developed the weapons primarily for use on small boats that patrolled the waterways. The necessity for these weapons was demonstrated by the Navy's experience during the Mexican War when small launches and other craft were assigned to patrol close to river and creek banks. Dahlgren was a Lieutenant when he was assigned to the ordnance department at the Washington Navy Yard. The first weapon systems were adopted by the Navy in 1850. These bronze 12- and 24-pounder pieces were specially designed for use on the small launches, but were also included on most naval vessels during the Civil War. His iron smoothbores were adopted in 1850 (9-inch gun) and 1851 (11-inch gun). Although these guns were designed for use against wooden ships, the iron-clad Monitor class ships carried two of these in their turrets. These weapons were later replaced by the 15-inch Dahlgrens in 1862. 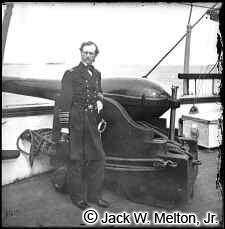 By the end of the Civil War, John Dahlgren, now a rear admiral, was responsible for the development and design of 12-pounder boat howitzers in several weight classifications (small, medium, and light), 20- and 24-pounder howitzers (some, including the 12-pounders, were rifled); 30-, 32-, 50-, 80-, and 150-pounder rifles; and 8-, 9-, 10-, 11-, 13-, 15-, and 20-inch rifles.